E3 bluetooth earphone, E3 Navigation Controller, E3 motion controller, E3 Camera and camera stand. 2: A new game released free by E3TEAM again to congratuation E3 MOVE SUITE on market. Thanks all users whom support us . 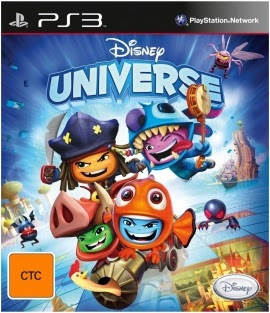 The new game is Disney Universe BLUS30773, which not released by any other guy before. Please note it is 1.01 update game directly. It is easy upgrade, plug and update. It will work on New high CFW in the future . It can only work game which modified by E3TEAM. The most important is we need protect our work well, so we should try best make it un-crackable. We need time to complete those function, and also will ajust our plan as per user requirement. PS: we only released e3 card reader, e3 flasher and e3 move suite. All other dongle haven't any relationship with E3TEAM !